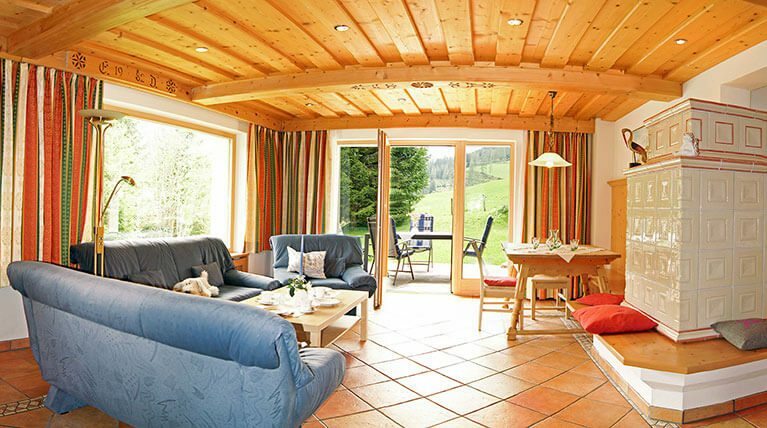 The family-friendly Haus Dachstein is located in a breathtakingly beautiful area at the foot of the Dachstein massif and the Bischofsmütze. 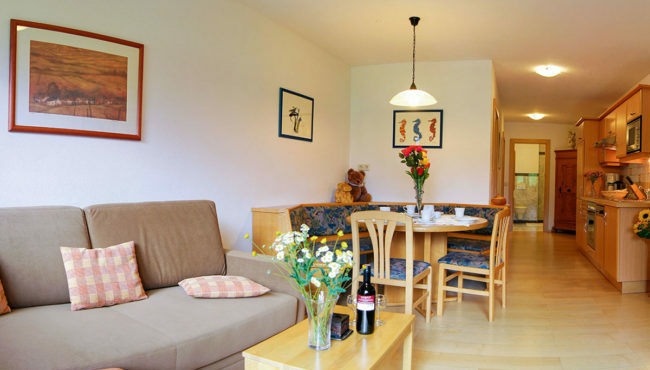 The house has three spacious, comfortable apartments that are suitable for groups consisting of one, two or three generations. 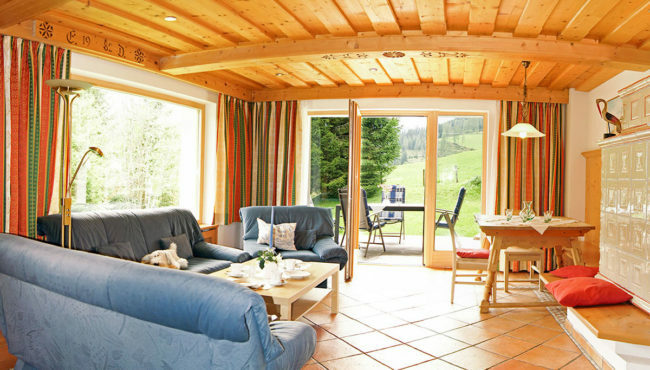 Haus Dachstein apartments are suitable for 2 – 8 people. The apartments are decorated in the attractive Salzburger country house style and offer first class accommodation: spacious living rooms, bedrooms and bathrooms; furnishings and sanitary facilities of an exceptional standard; quality beds and lovely wardrobes; a wonderful variety of kitchen utensils, ample crockery, glassware and cutlery. Each apartment has 2 or 3 bedrooms; 2 apartments are furnished with beds of 2,10 m. On request anti-allergy quilts are used. Each apartment also has 2 bathrooms and an infrared sauna. In every apartment one bedroom has its own bathroom. One apartment is barrier-free and therefore in summer accessible for disabled people. 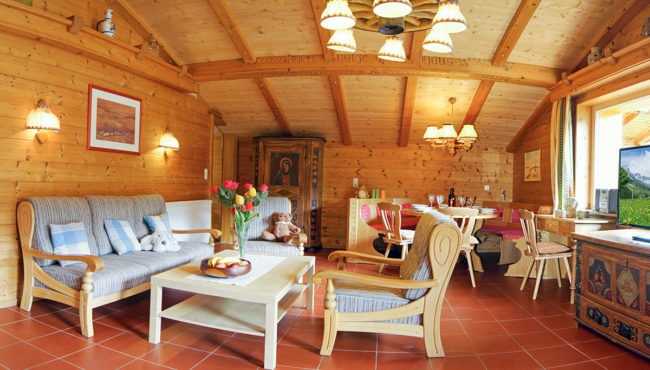 Free Wi-Fi is available at Haus Dachstein. For each apartment there are two parking spaces. The grounds of the house total 1,600 m², and offer a sunbathing lawn, a playground for children, a barbecue area and a table tennis table. Each apartment has a covered sun terrace. The large balconies and sun terraces are on the South. They connect the apartments with the garden and the environment. Click Apartments on the menu for additional information. Only 50 meters from Haus Dachstein, there is the bus stop for the free skiing shuttle in winter and the hiking bus in summer. An apartment is an obvious choice when deciding where to spend your holiday. You have far more space and increased privacy than in a hotel. 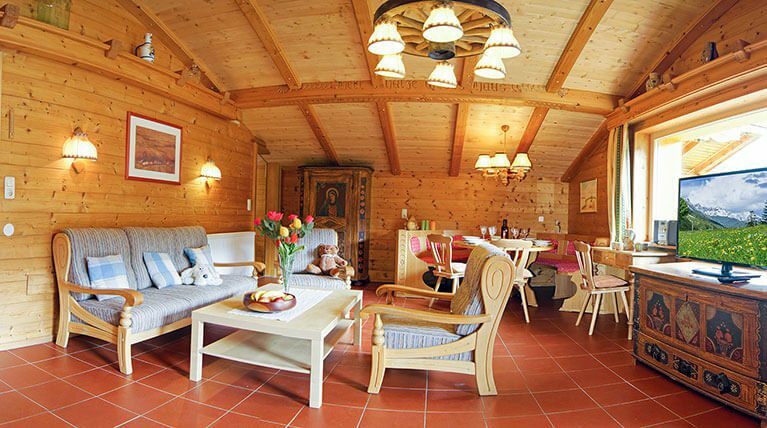 Naturally an apartment offers a far cosier atmosphere. 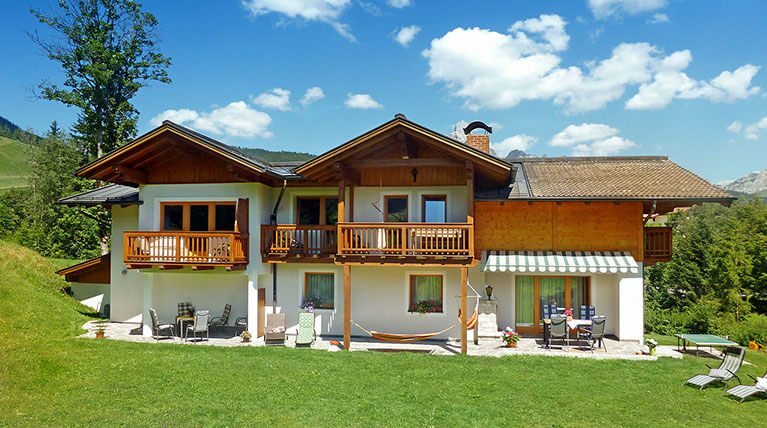 The prices of the apartments in Haus Dachstein are more competitive than hotel rooms. Moreover, you can do your own shopping, which makes it less expensive. It’s also good to know that all attractions in Salzburgerland are easily and quickly accessible from Haus Dachstein. 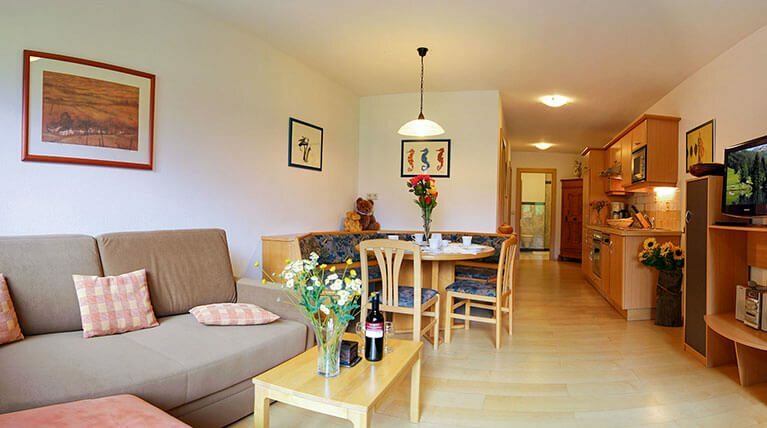 … our apartments are, thanks to their lay-out, popular among groups? Regularly we have groups of friends or families up to 20 people as our guests, consisting of one or more generations. … as our guest you will receive more than 20% discount for your first visit to the Thermen Amadé in Altenmarkt? 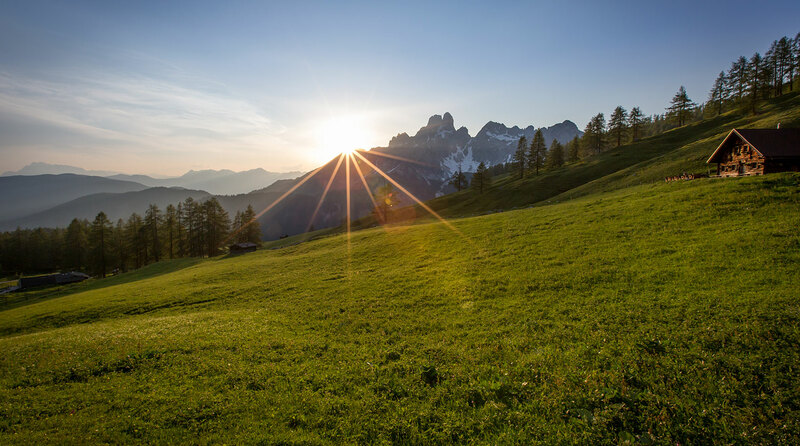 … the numbers of Spaniards and Italians that choose Salzburgerland as their holiday destination is increasing? The reason for this is the wonderful climate. … the entire city centre of Salzburg is included on the World Heritage List? … a 6-week long party is held every summer during the Salzburger Festspiele? With indoor and outdoor operas, theatre and concerts it is a feast for the senses. … Salzburg, as a ‘Kulturstadt’, is also an attractive holiday destination in the winter? … Filzmoos is unquestionably the balloon village in Austria each year for two weeks in January due to an international balloon event? 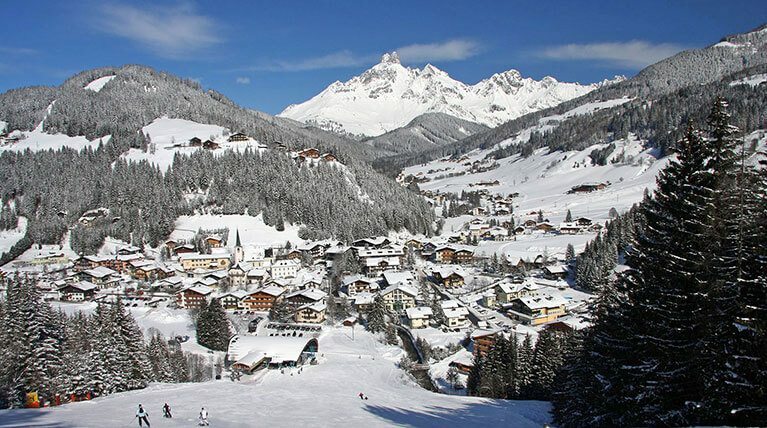 … the Advent and Christmas markets in Salzburgerland are truly worth a visit? From late-November until Boxing Day, there are countless quaint Christmas markets with a jovial atmosphere and of course candlelight, glühwein and singing. … Flachau and Filzmoos are particularly well-suited to holiday groups including skiers and non-skiers? 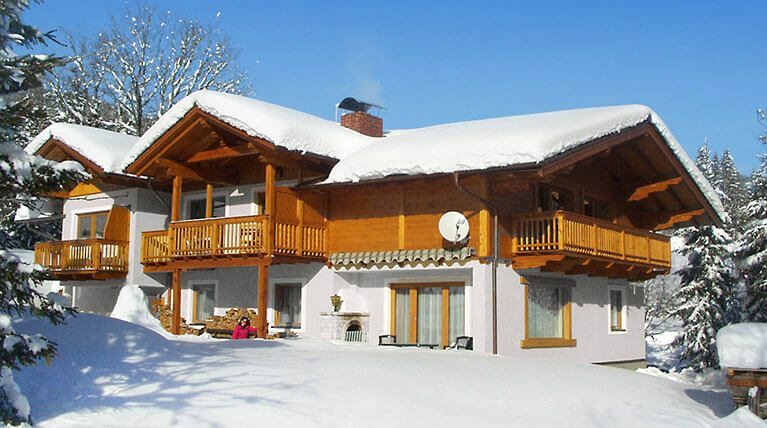 During the winter, in addition to skiing, there is enough to do in Salzburgerland to guarantee everyone a good time.